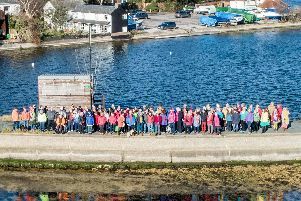 A major community production in Emsworth will mark the centenary of the armistice which ended the First World War. Jim Strudwick, who has worked extensively with Emsworth area theatre groups and also with Chichester’s CAOS, is writing a play which he intends to stage around November 11 this year, which falls on a Sunday. He is looking for actors to take part in the project and also for back-stage crew. Anyone interested should email him at jim.strudwick@yahoo.co.uk. Jim will dedicate it to the late artistic director of Rogues and Vagabonds, Julian Sluggett, a “true man of the theatre”. Jim is hoping to attract cast and crew from outside Emsworth, perhaps bringing in Chichester and Havant as well; and if there are any venues outside Emsworth willing to host the show, Jim would be keen to hear: “In the show, I will be featuring a local Emsworth family that had four children go out to the war: two died and two came back. I am just completing act one at the moment. I am doing the family at home and also the recruiting sergeant and the songs. I want to have sandbags and trenches on one side and the ladies at home, reading the letters, on the other. I want it to be a big community production. “I think I would like about 15 or so actors and singers. There will be the family of six and I will also need four British soldiers and two German soldiers. The Christmas truce will be part of the story. Somebody was researching their ancestors and mentioned a family called Butcher. I thought that would be quite good to focus on. One of them died before Christmas 1914 and one of them the following year, and the other two survived. You can build up the whole story across that, right up to the armistice. I will be directing.